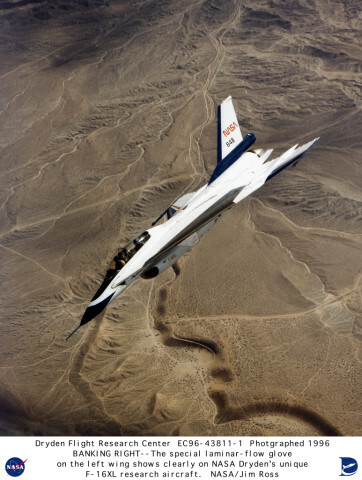 Description: Dryden research pilot Dana Purifoy bends NASA F-16 XL #848 away from the tanker on the 44th flight in the Supersonic Laminar Flow Control program recently. The flight test portion of the program ended with the 45th and last data collection flight from NASA's Dryden Flight Research Center, Edwards, California, on Nov. 26, 1996. The project demonstrated that laminar--or smooth--airflow could be achieved over a major portion of a wing at supersonic speeds. 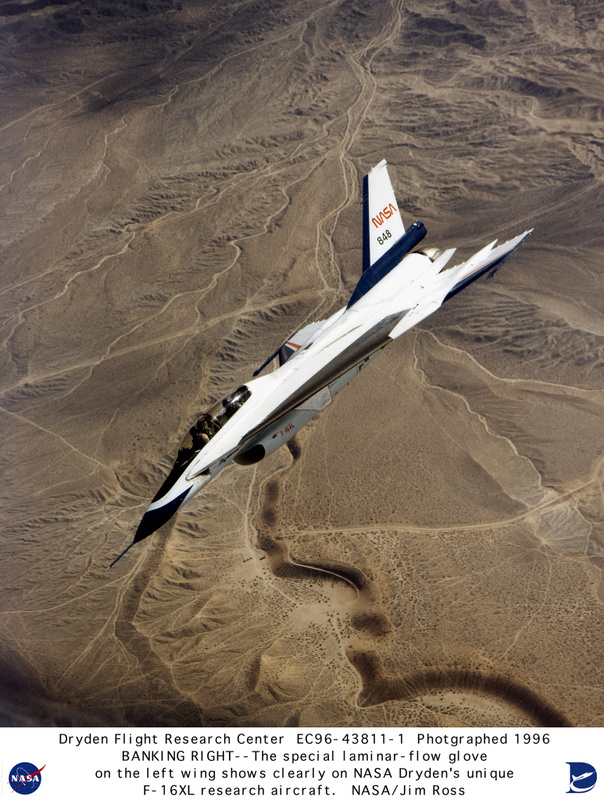 The flight tests at Dryden involved use of a suction system which drew boundary-layer air through millions of tiny laser-drilled holes in a titanium "glove" that was fitted to the upper surface of the F-16XL's left wing.